My first thought of New Hampshire used to be winter skiing, but I enjoy visiting in the summer and early fall even more. There you’ll find amusement parks, mountains to hike with gondola rides, moose tours, balloon tours, and much more. We visited New Hampshire in early September to find the classy, intelligent, adventurous but not too challenging experiences, the gems of the region. There are too many for a short weekend trip, but this short list of six destinations is a good start! In southern New Hampshire, go ballooning with Infinity Ballooning or A&A Balloon Rides (interviews). It’s peaceful and less scary than you would think to be up high, drifting with the wind, with great views. 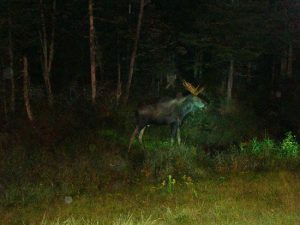 In the White Mountains, find wild moose with Gorham Moose Tours (4 stars). Their tours take place at night, so they don’t conflict with hiking or daytime activities, but bring something to do or be prepared to nap on their long van rides. When choosing a place to stay overnight, The Bartlett Inn Bed & Breakfast (4.5 stars) is central to the White Mountains, mid-level priced, but with large, clean rooms, a pool, and serves a hot breakfast. Many of the ski resorts in the White Mountains have summertime activities. 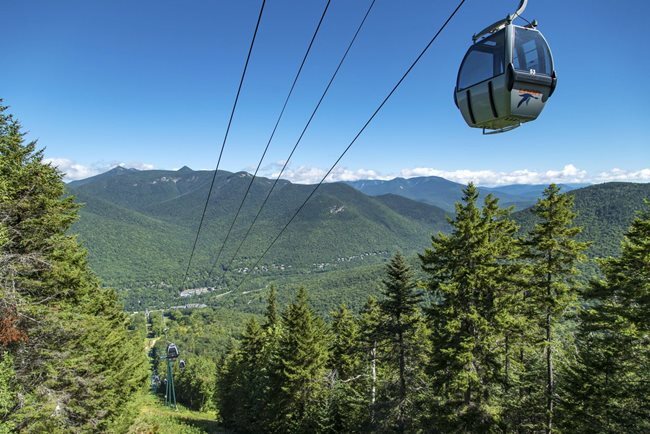 Loon Mountain (5 stars) has a fantastic gondola ride to a tall summit with 100-mile views, “caves” to explore, and an adventure park that includes a zipline, a ropes course, and you can rent “e-bikes” that make you feel like a champion as you pedal with less effort. 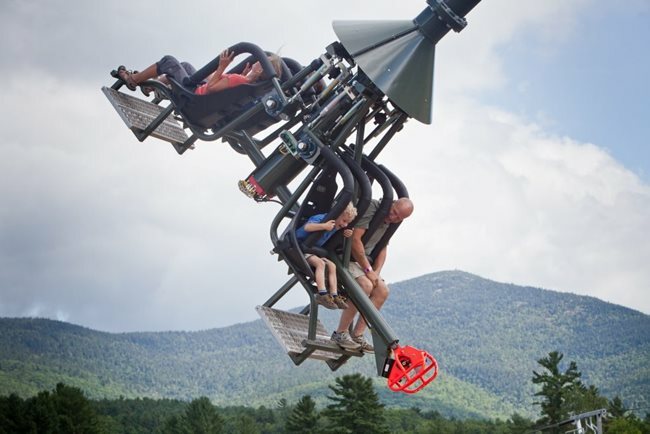 Cranmore Mountain Resort (4.5 stars) is not so tall, but unlike Loon has a full theme park with a mountain coaster, mountain tubing, zipline, bouncy house obstacle course, and much more. They also have a beautiful gondola ride to a summit with great views. Always bring a coat for visiting mountains, which get colder at their summits than their base camps. 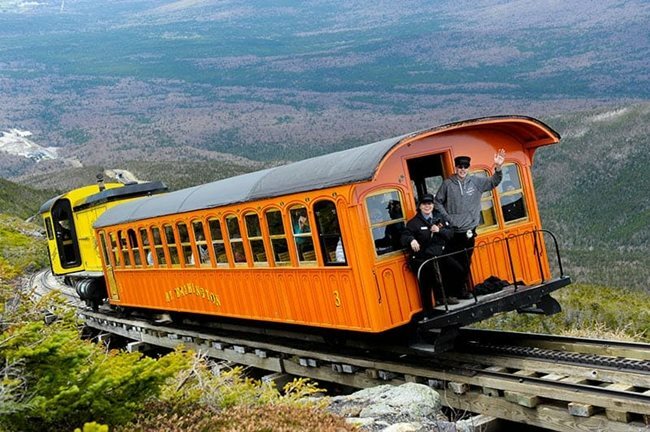 The must-do attraction in the White Mountains is the Mount Washington Cog Railway (5 stars), a train ride with a gear system that takes you up, up, up, to the tallest mountain in the US Northeast, Mount Washington. Call ahead to ensure clear visibility, because from the peak you can see a mountain range that looks like waves in the ocean, including a view of mountains across the border in Canada! That is far from a complete list. You’ll find dozens of worthwhile experiences in summertime New Hampshire, and I’ll be sure to write about more next year. The warm weather season continues, depending on the venue, into early October.